“We are quite excited to finally introduce inside the chemistry world arachnoTM!" arachnoTM is a revolutionary technology that allows the performance of parallel synthetic experiments accelerating, by consequence, all the synthetic processes. A friendly technology: nobody must explain you how to use it, you will understand immediately just handling one. An effective technology: it just works! 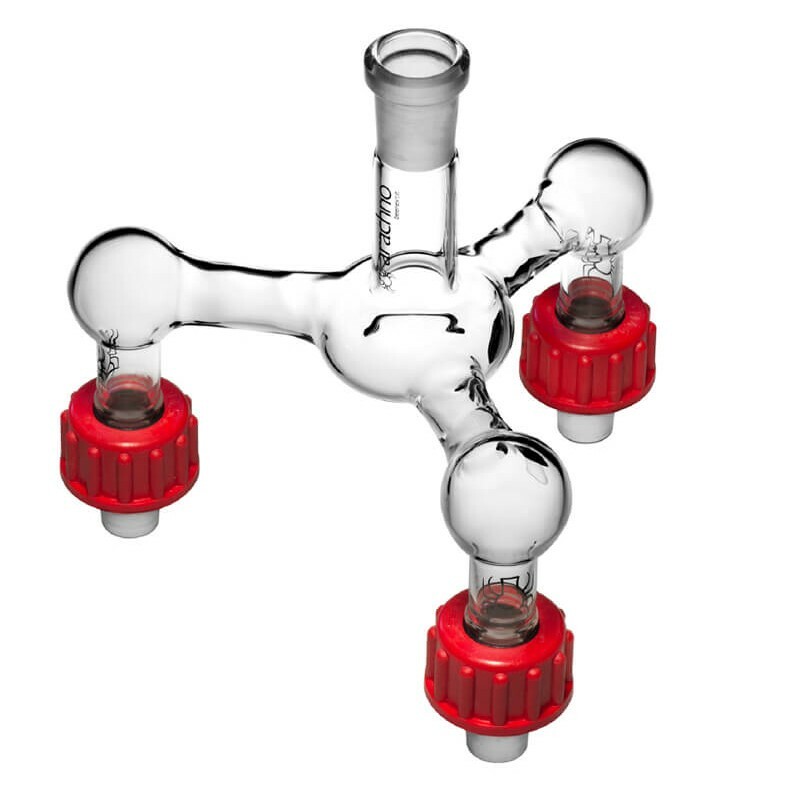 Just select the reaction conditions your chemistry needs (inert atmosphere, heating, cooling, stirring…). 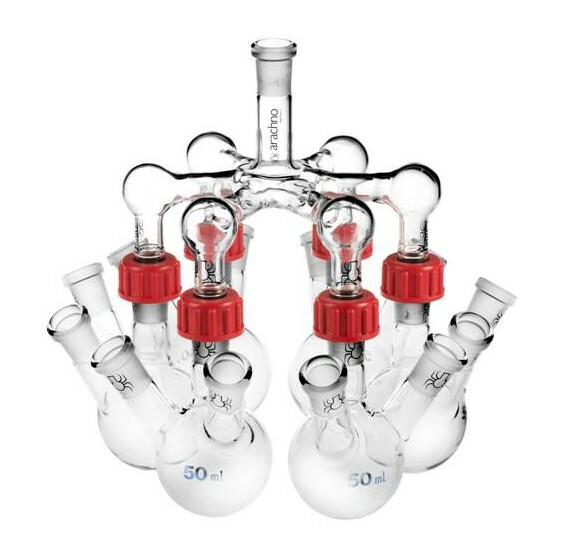 The organic synthesis is a hard job where the chemist became deeply involved. In the past twenty years, few solutions were introduced to accelerate this process. 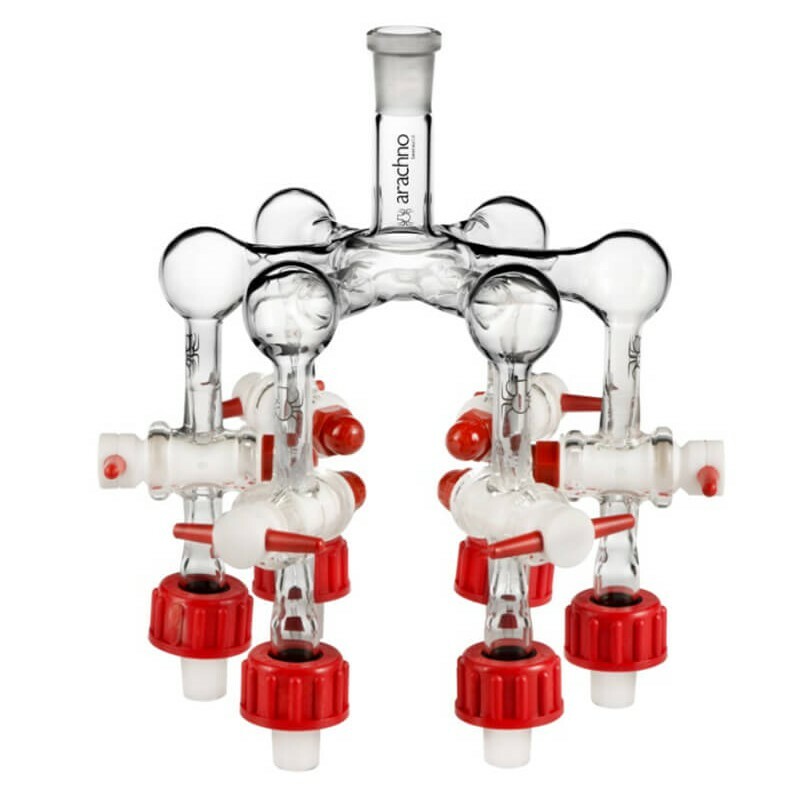 Unfortunately, because of their limited impact on the chemistry field due to the high costs, the organic synthetic process still remains painfully slow and a bottleneck inside a Drug Design project. 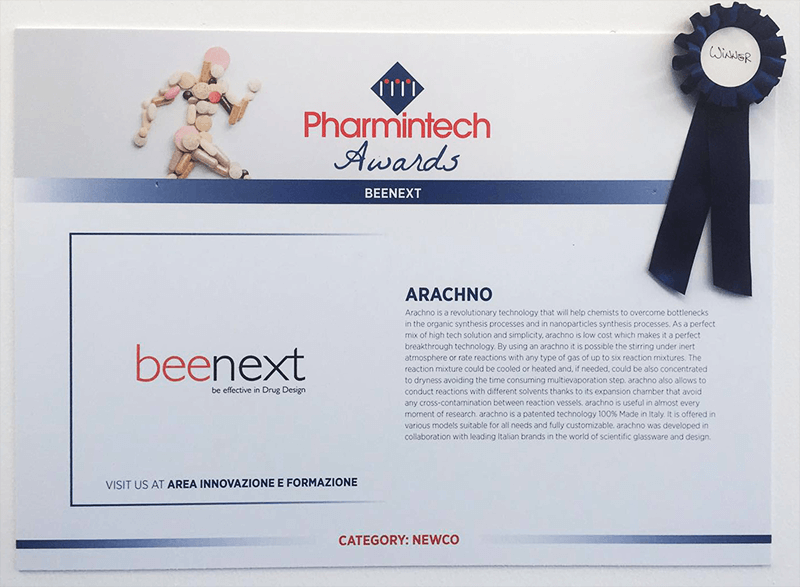 arachnoTM represents a revolutionary technology designed to effectively accelerate the obtainment of target compounds. As inside a real arachno, each member of the arachnoTM family is characterized by a central body connected with few other legs, each leg carrying a single vessel. 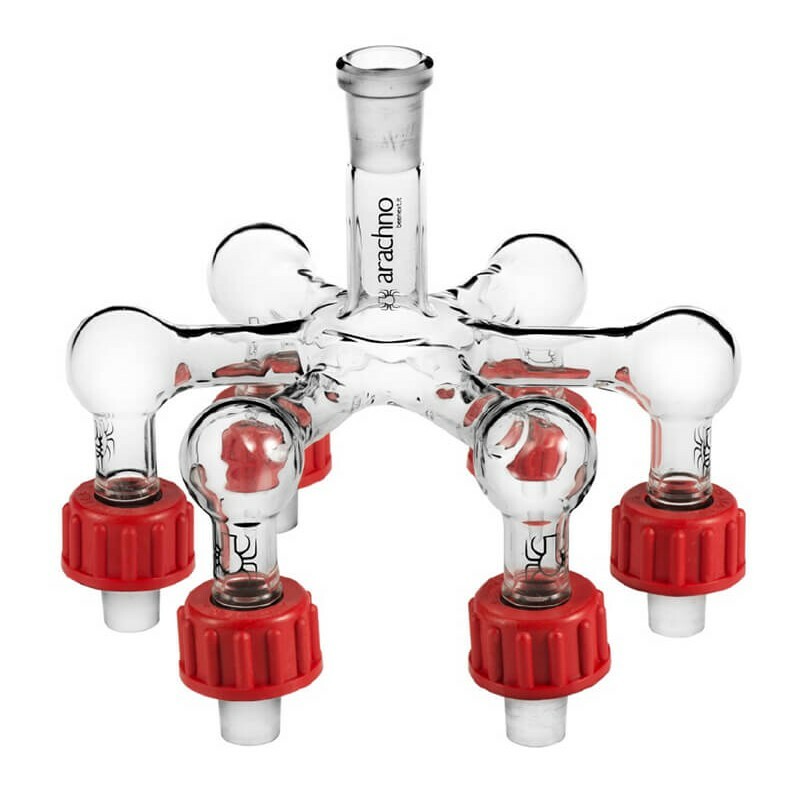 Reinventing the manifold concept, arachnoTM is able firstly connect each vessel to a commune atmosphere, when positioning each of them in the right position on the stirring plate. 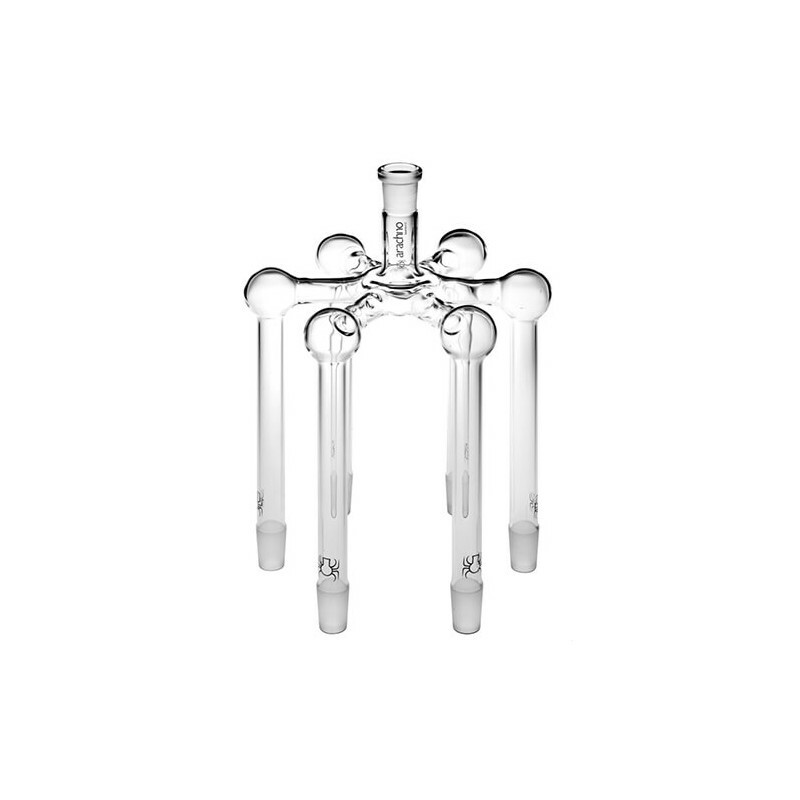 Acting just as a multiplier, the single stirring plate can support up to six different experiments. Nothing more to understand or learn. Beside being stirred, the reaction mixtures could be cooled, heated or placed, if necessary, under inert atmosphere. When the conversions are complete, arachnoTM can be effective also in the following steps as work-up or parallel evaporation. Being a low cost tech, every chemist can have access to it. 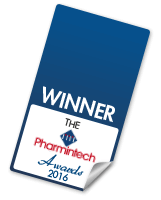 arachnoTM is the winner of The Pharmintech Awards 2016. 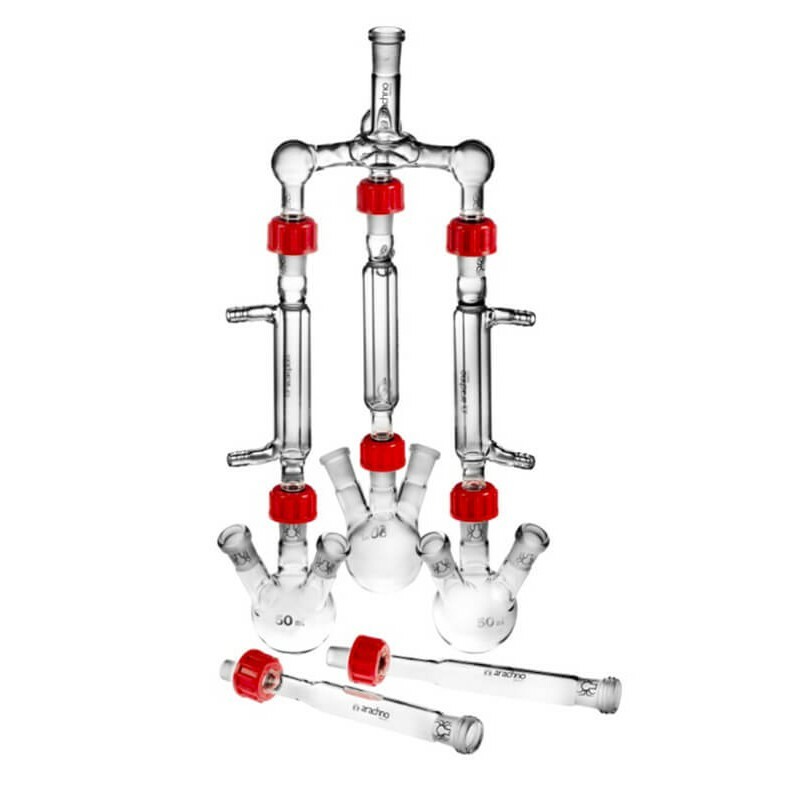 It has been recognized as a revolutionary technology that will help chemists to overcome bottlenecks in the organic synthesis processes and in nanoparticles synthesis processes. As a perfect mix of high tech solution and simplicity, arachno is low cost which makes it a perfect breakthrough technology, able to offer various models suitable for all needs and fully customizable. 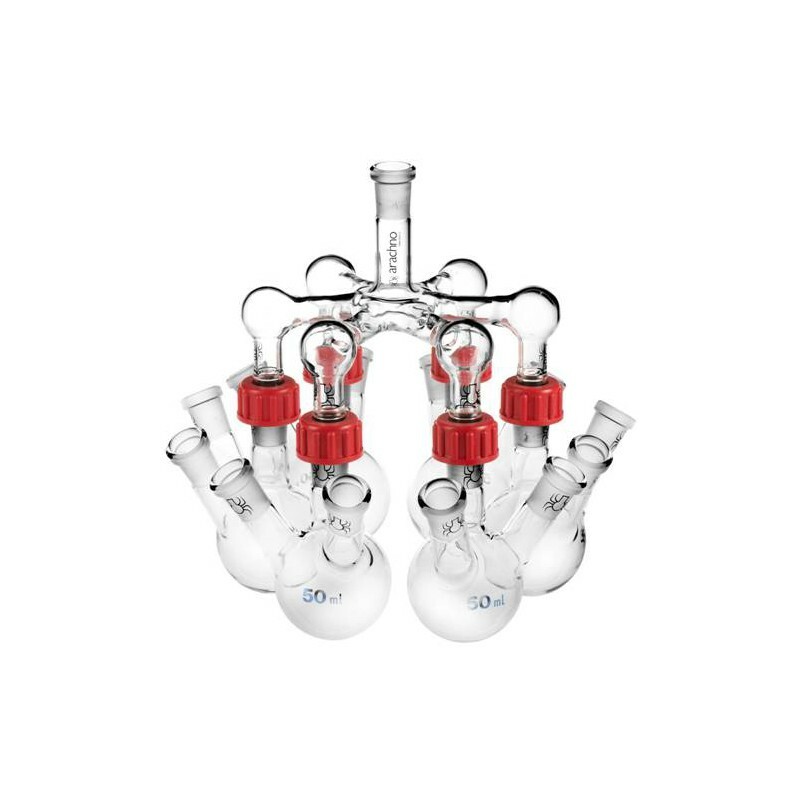 The patent 100% Made in Italy makes Arachno high quality and reliable technology, developed in collaboration with leading Italian brands in the world of scientific glassware and design.